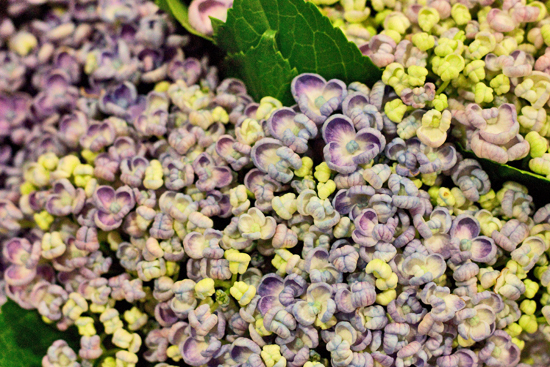 In this month's report, we're going to take a look at a wonderful flower which is in abundance at the Market…the hydrangea. 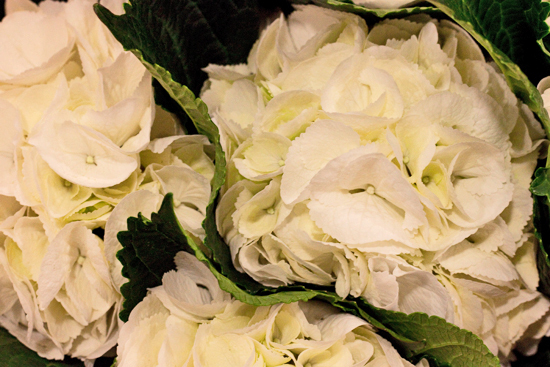 Hydrangeas get their name from the Greek words 'hydor' meaning water and 'angos' meaning a vase or receptacle. 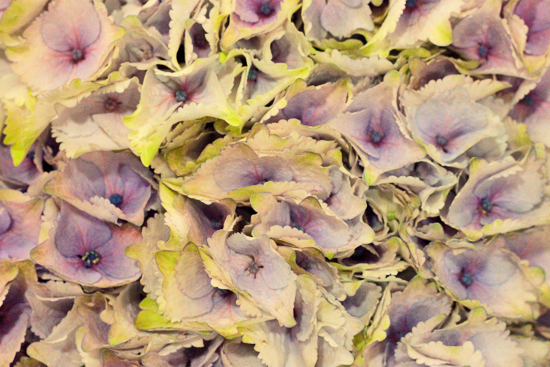 The most popular variety available at the Market is Hydrangea macrophylla, with its large flower heads. 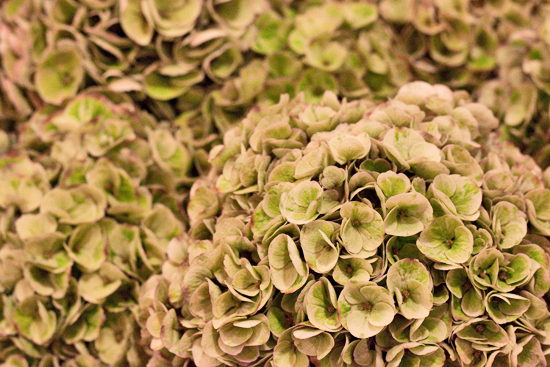 They're sometimes called mopheads and are also referred to as Hortensia. Their peak season is generally April/May through to November. 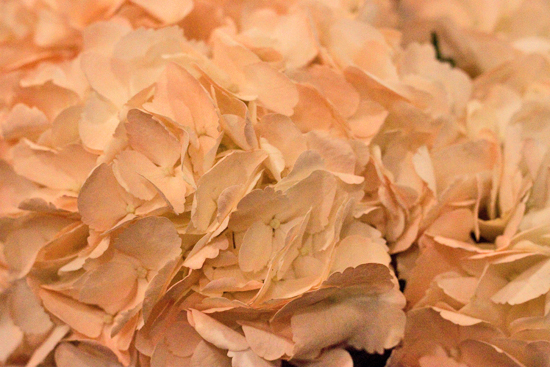 And they're such a versatile bloom, being perfect for bouquets, flower arrangements and wedding work. 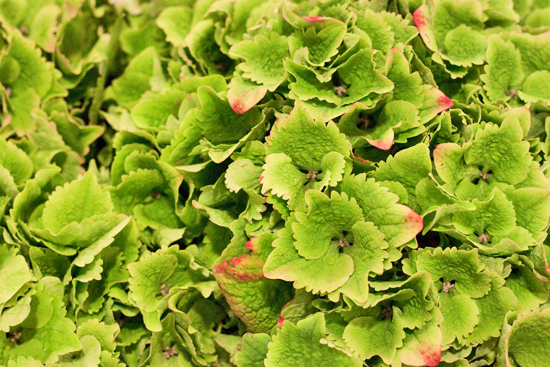 Available in a kaleidoscope of colours from Holland and Colombia, you'll find them at this time of year in blue, purple, pink, white, green and even pale apricot. Some two tone varieties are also available. Bear in mind though that the colour of individual varieties will change depending on the season, climate and growing conditions. 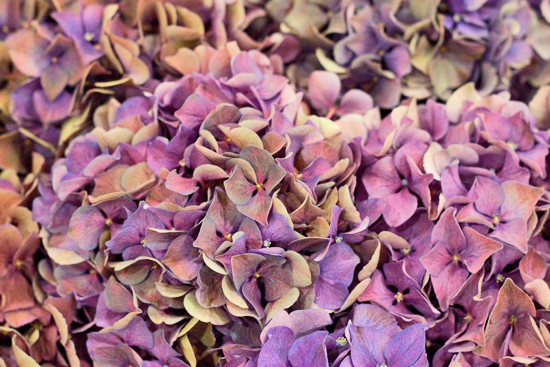 Later in the year, look out for hydrangeas in beautiful antique autumnal tones. As well as being available as cut flowers, you'll also find them on sale as potted plants at the Market, in a range of different sizes. 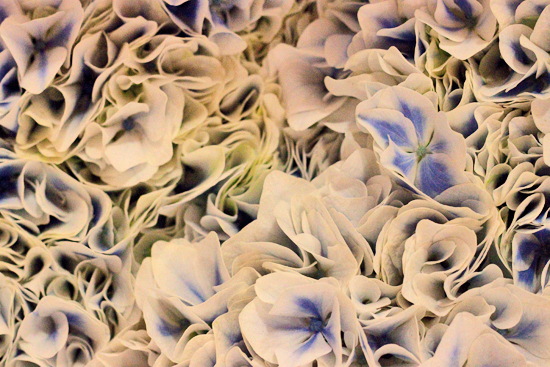 There are several types of this wonderful bloom at New Covent Garden Flower Market at the moment. 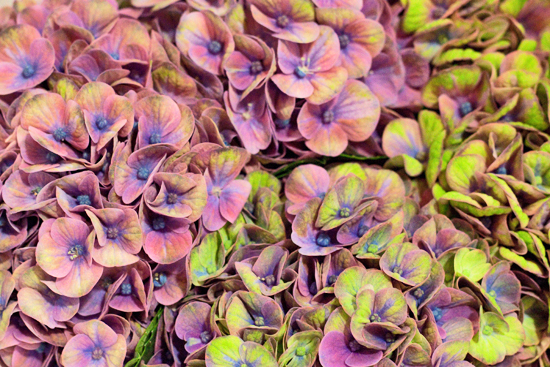 If you ask for hydrangea at the Market, you'll get the standard type below in a wide range of colours including blue (Elbtal Blue, Magical Revolution and Steiniger), purple (Rodeo, Glowing Alps), pink (Verena, Bodine), white (Schneeball) and green (Magical Emerald, Emerald Classic), plus two tone varieties called Harlekijn and Magical Coral. 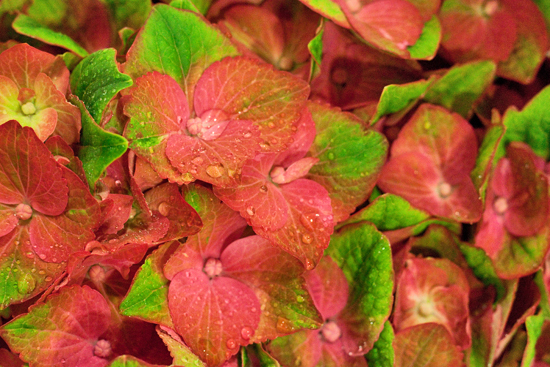 What a great name for this type of hydrangea…'You & Me Together'. 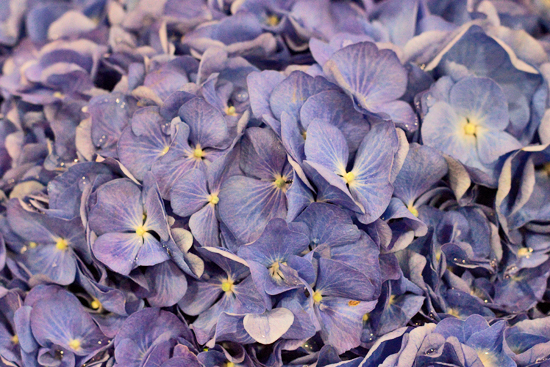 It's a stunning double flowering variety, available in blue and pink. 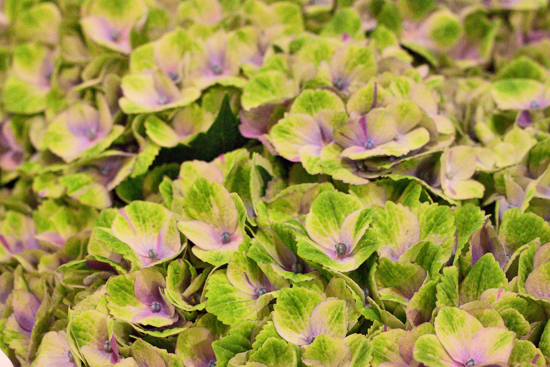 With a unique bloom shape, this variety of hydrangea is named after the way that the edges of its flowers curl up, reminiscent of popcorn. Hydrangea arborescens 'Annabelle' has tiny dainty blooms and Ronny at Bloomfield says that it's a perfect substitute for guelder rose, when it's not available. 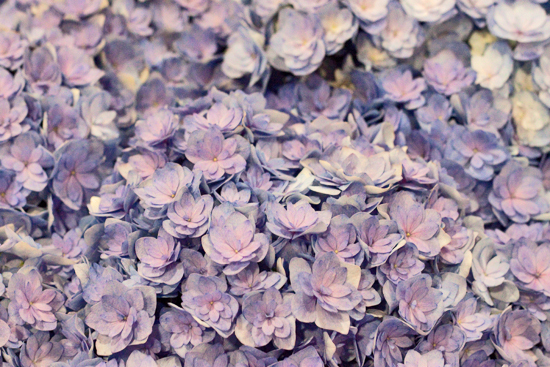 Hydrangeas come in bunches of five stems. Prices can range from around £1.50-£5.00, depending on availability and the time of year. 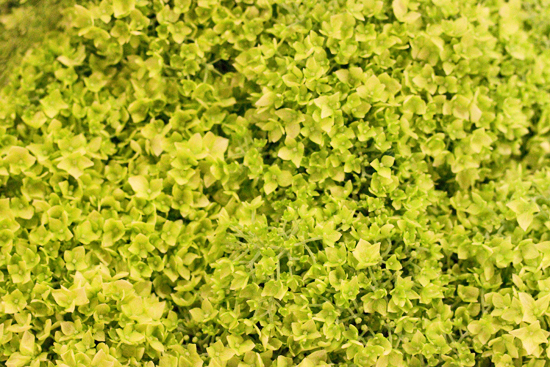 The colour of the flowers is a big influence on the price. If there's a lot of one particular colour available at a certain time, they'll be cheaper. Correspondingly, when the autumn comes, the blue and pink varieties will be more expensive as they become less readily available. 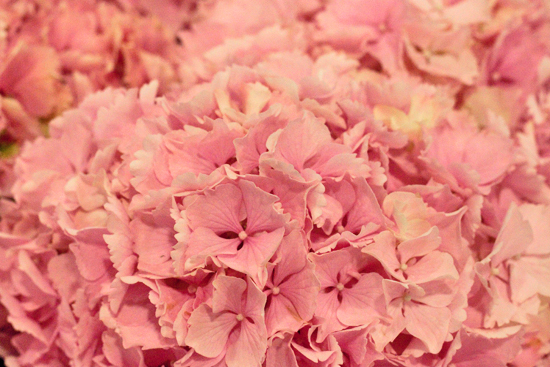 When buying hydrangeas, to check how fresh they are, place your hand gently on the flower heads. If they feel firm, you know that they're fresh. To get the best out of them, the most important thing to do is to ensure that they're hydrated. First of all, remove most of the foliage and cut the stem at a slant. 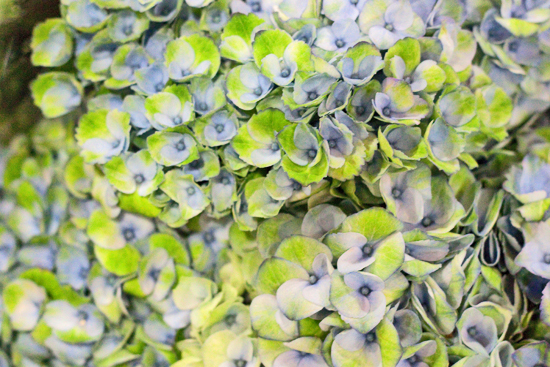 Ronny at Bloomfield says: "You can shave the stem's outer layer with a sharp knife to create the maximum amount of surface area from which the hydrangea can drink. "You can split up the centre of the stem at its base too. And to prolong their vase life, mist them occasionally." If they do wilt, try submerging the flower heads and stems in a sink or bath overnight, or at least for two to three hours. Then, when you remove them, make sure that you shake off any excess water. Another way of trying to revive them is to cut the stems and then place them in boiling water for a few minutes, before putting them in cool water. 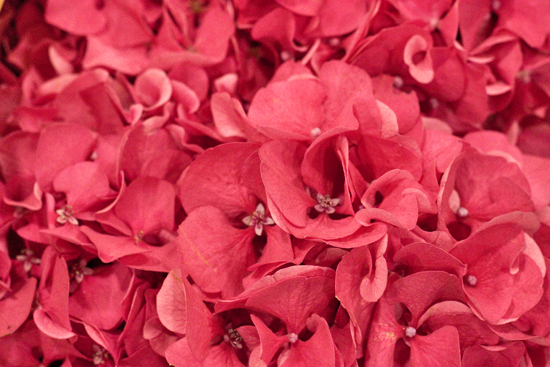 David at DG Wholesale Flowers says: "Hydrangeas don't like to be kept in a very cold or a very hot environment. And also keep them out of drafts." 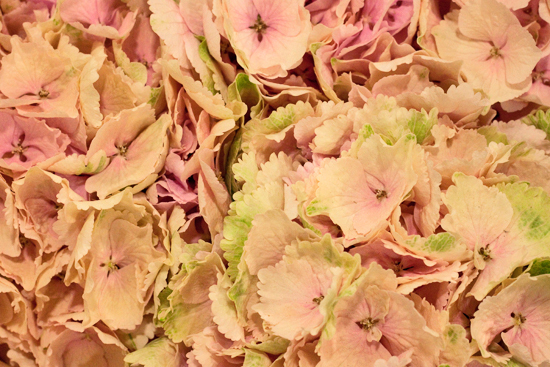 To ensure that you get exactly the right colour of hydrangea that you need, especially when it's for a wedding or event where a specific colour is required, John at S Robert Allen recommends that you make sure that you see the variety in person. 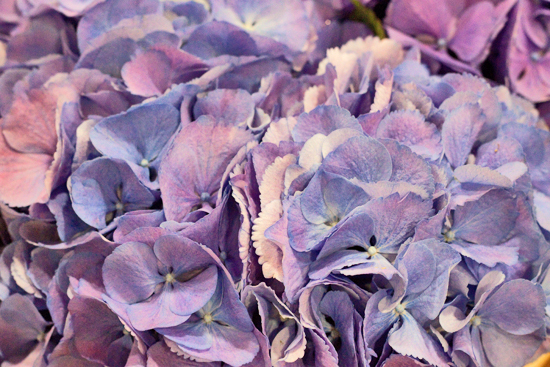 And what better way to do so than to visit the Market…where you'll not only see a wonderful display of hydrangeas, but also the huge range of summer flowers currently available.